The conference reception will take place on the 10th of May (Wednesday) at the Brighton Museum &h; Art Gallery, which is located in the Royal Pavilion garden, at the heart of the city’s cultural quarter. Its diverse collections bring together the arts and history to tell stories about the city and the world we live in. 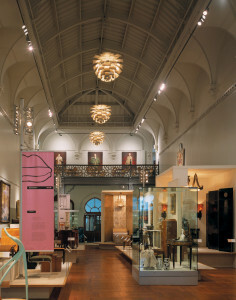 Brighton Museum &apm; Art Gallery began life in 1861 in a few rooms at the Royal Pavilion. This early museum soon outgrew the palace and Brighton made ambitious plans to create a larger and more impressive museum, in 1873 it moved to its present site. Although it occupies land that was formerly used as part of George IV’s stable complex, the building was built especially for the museum. Indeed it was one of the first purpose built museums in England. Delegates will have the opportunity to admire a number of galleries including the 20th Century Art & Design, World Stories: Young Voices, Willett’s Popular Pottery, Local History and Ancient Egypt. Nibbles and drinks will be available to compliment the evening. 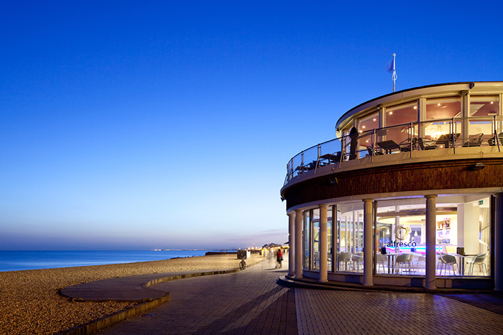 On Thursday (11th of May), you will enjoy a superb dinning experience at Alfresco’s, a contemporary glass restaurant in the former Milkmaid Pavilion. Basking in the shadows of the West Pier, Alfresco’s spectacular setting means it offers unparalleled views along the Sussex coast as well as a variety of stunning photographic backdrops unrivalled by any other beachside venue in Brighton.